Spending Christmas abroad is tough business. I don’t really know how to put it into words, but something is just missing in the air. Maybe it’s the commercialism. Maybe it’s the exchange of presents, the Christmas parties, or even the cheesy songs on the radio. Probably, it’s just the plain and simple fact that no one gives a crap about Christmas in Asia. 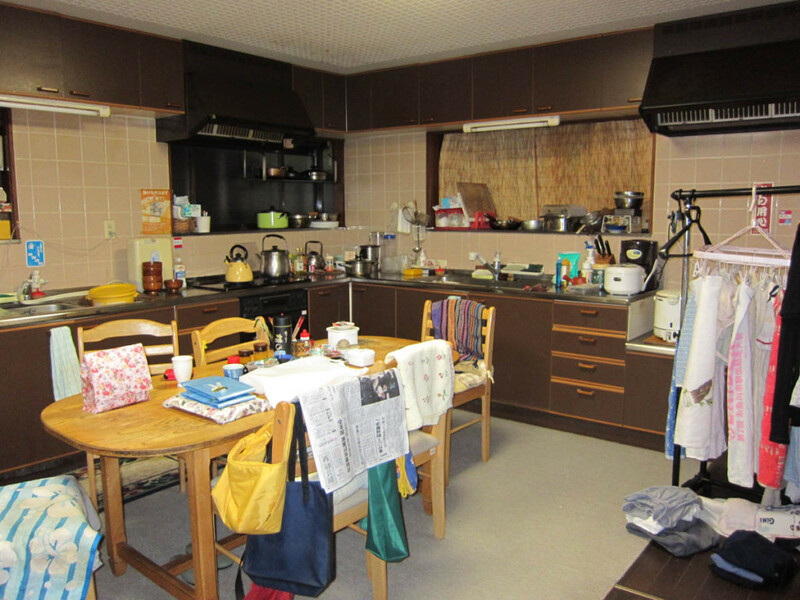 As I often mention on here, my life in Niigata was different from the typical foreigner. I was extremely isolated. Due to various falling outs with other foreigners, I was all alone. I had no one to share Christmas with. “Mary-sensei” all of the cashiers at 7-11 knew my name, with this one being my particular favorite. “How about a Christmas cake? We have so many flavors; chocolate, white and strawberry–and look at all the sizes! 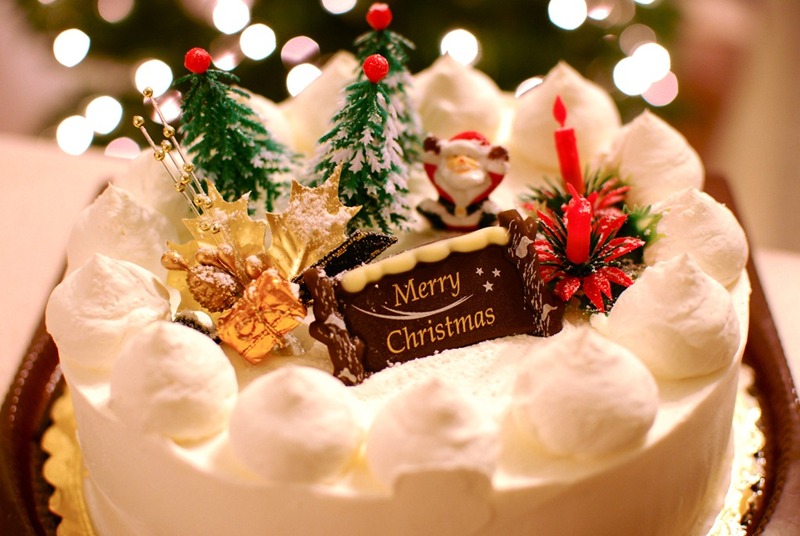 In Japan, cake on Christmas is a thing. “I think you would really enjoy having a cake to share with someone special on Christmas day” she winked. Oh yeah, and Christmas is pretty much the preamble to Valentine’s Day. “I have no one special to share it with,” I replied glumly, looking through the cake brochures. “Oh…..” the cashier looked defeated. Suddenly, I felt a pang of guilt for being so rude to my favorite cashier. She’s just doing her job, I thought. She’s just trying to make the quota for Christmas cakes. I shouldn’t take my Christmas blues out on her. On Christmas Eve I picked up the cake, went to my apartment, fired up my kotatsu (heated table) and, with a beer in one hand and a fork in the other, I ate my Christmas cake. Alone. The Japanese TV was blaring some slapstick comedy talk show, and I could hear the wind outside howling and the rain and snow pelting my house horizontally. Yeah. 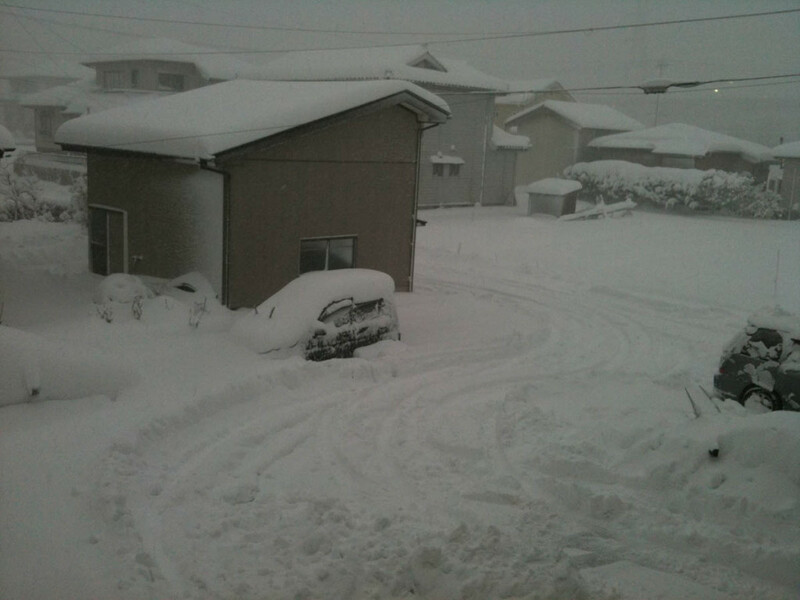 This is what winter looked like in Niigata. I felt a pit of loneliness in my gut. 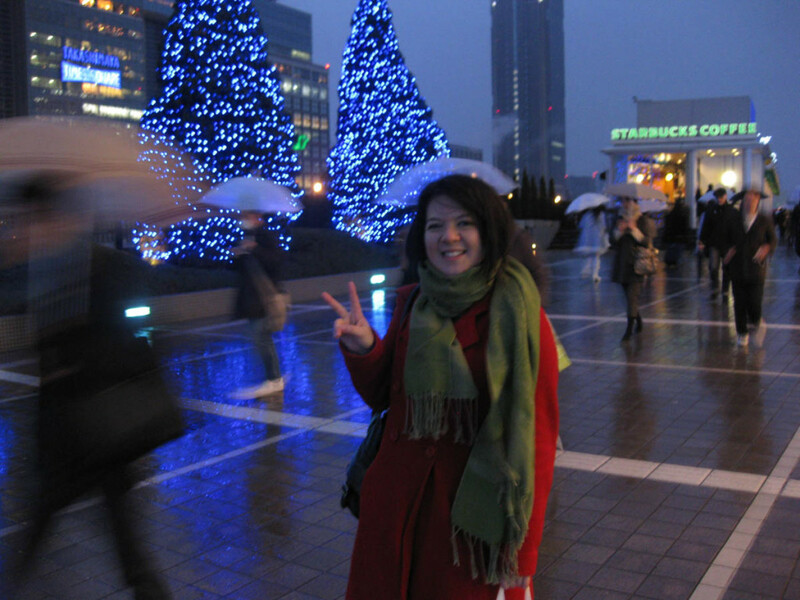 Here I was, utterly alone in no-man’s-land Japan where no one, and I mean no one, cared about Christmas. My family was an ocean away, the Christmas movies I used to watch so lovingly on TV were replaced with terrible Japanese variety shows; and instead of having pumpkin pie at the dinner table with family I was having beer and chocolate cake on a tatami mat. Instead of shed tears, I ate my sorrows. I devoured the cake in 20 minutes. All by myself. “Mary!” the temple lady, one of my best friends and a near mother-figure, called me up. I call her temple lady because….well, she lives in a temple. 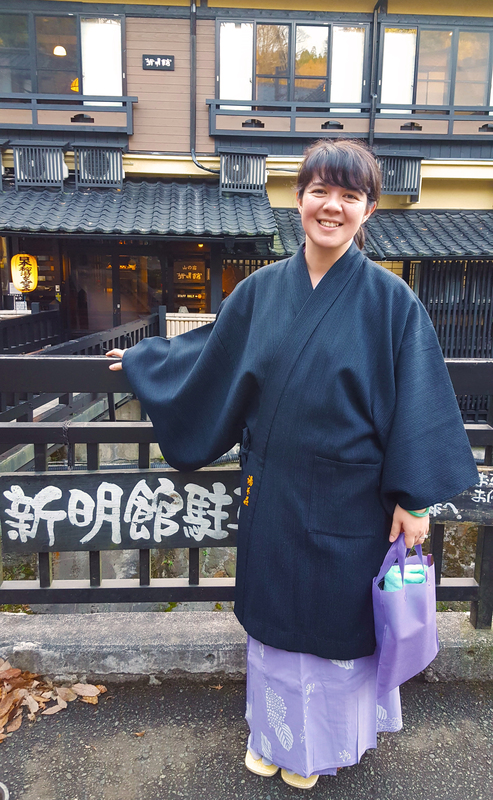 Her husband is a practicing buddhist priest and she helps clean and upkeep the temple. I braved the winter storm outside on my bike and made it to my temple lady’s house, soaking wet and covered white in snow. 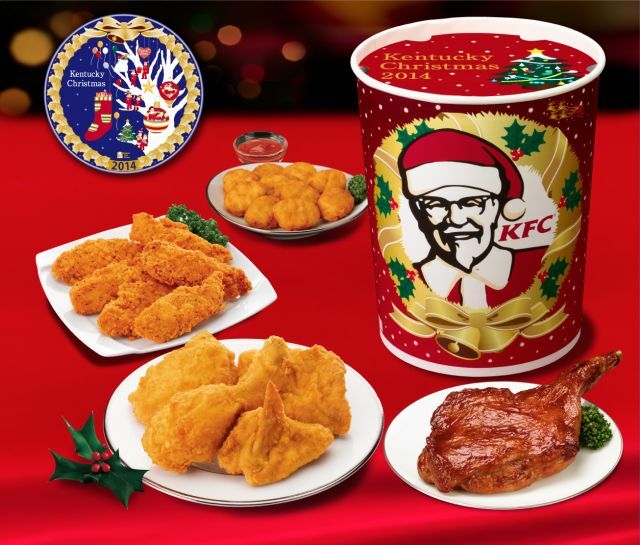 After a hot shower, I walked into the dining room to find KFC (yet another Japanese Christmas tradition) and cake beautifully arranged on the dinner table. Although it wasn’t turkey and potatoes, it still put a smile on my face. The grandmother and temple lady both gave me beautifully wrapped presents for Christmas, and I was deeply touched. With joy in my heart I ate yet another Christmas cake (but this time with company), and went to sleep, our stomach full of chicken and frosting. I leaped out of my futon as another gong resounded throughout the house. I was sleeping in the attic of the house attached to the temple, and in between the hum of the buddhist chants and cymbals, the storm outside continued to pummel the house. This house, probably around since the age of the samurais, shuddered with each gust of wind. I could feel the cool draft emanating in from the closed window. Yes. We really had this much snow. I definitely wasn’t home for Christmas. I stepped into the tatami living room to join obaachan, or grandma, underneath the kotatsu watching TV. She ushered me over and poured a cup of green tea, pushing a few tangerines and manjyu (Japanese tea snacks) in my face. We watched TV underneath that kotatsu for hours. I fell asleep, and woke up hours later with obaachan near my side. It almost felt like home. Being lazy in a warm, cozy place. With family. Doing nothing, yet enjoying the company of another human being. 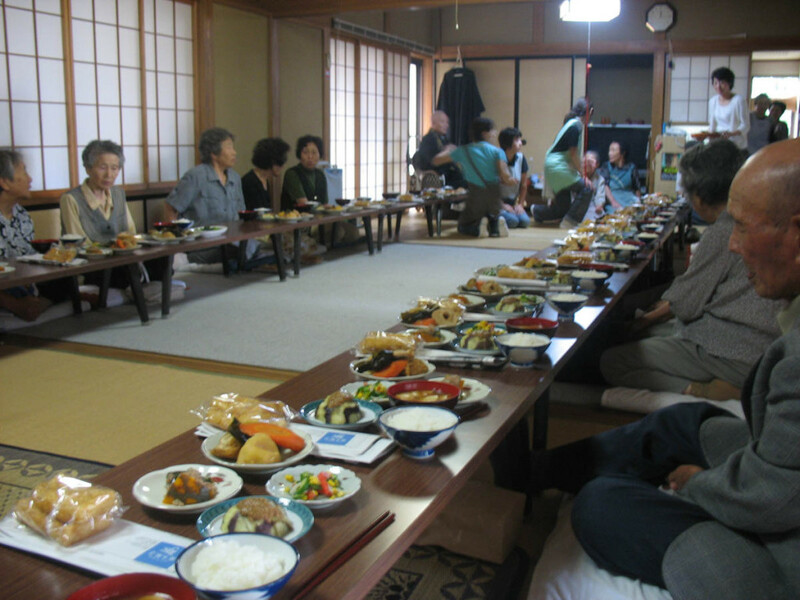 Later that day, I was invited to the vegetarian Buddhist lunch and dinner for celebrations and partook my share with humility. I helped my temple lady clean up and spent another night at her home. Before falling asleep, I could hear her son playing piano downstairs, the sweet soft melody of Ghibli’s Howl Moving Castle serving as my lullaby to bed. 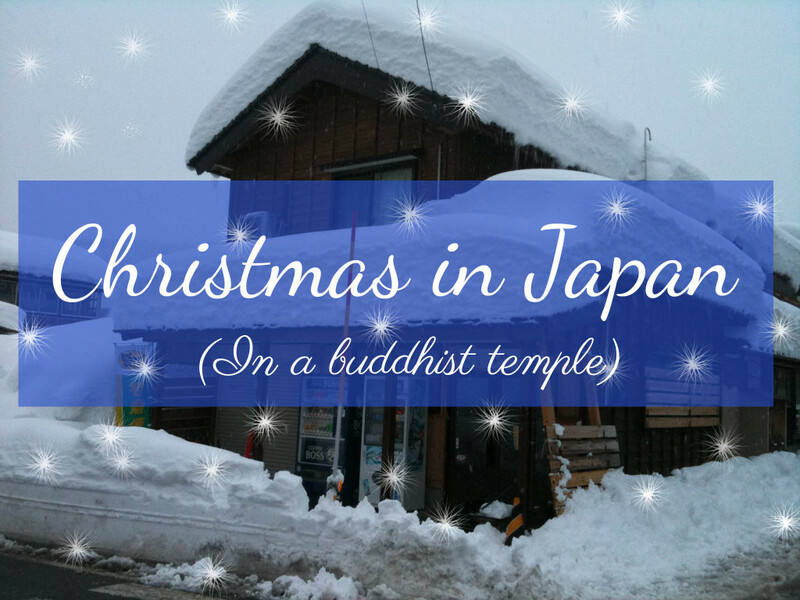 Instead of a Christmas tree, I had a kotatsu; there was no turkey, but there was KFC, and although I didn’t hear carols or Christmas songs, there was the rhythmic chant of Buddhist worshipers echoing throughout the temple and anime music. It wasn’t a traditional Christmas in the slightest, but it was still Christmas. 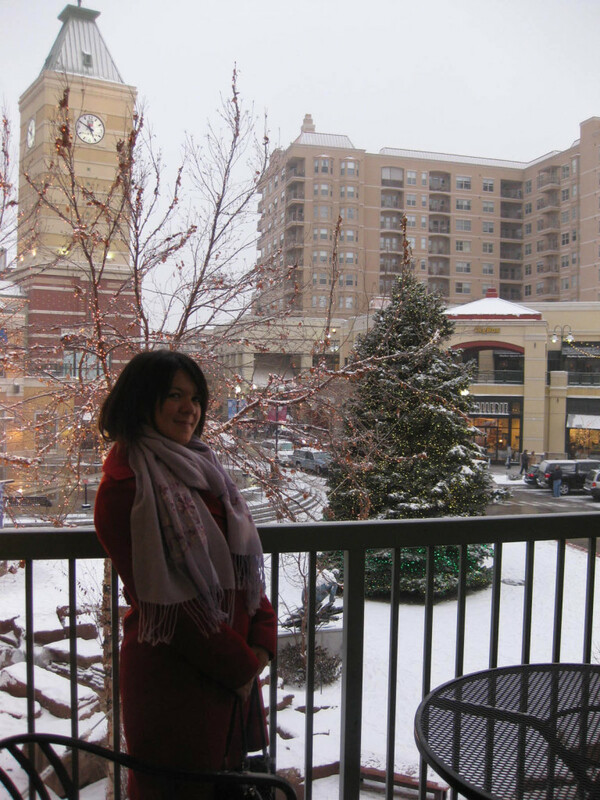 An unforgettable Christmas with family—my Japanese family. 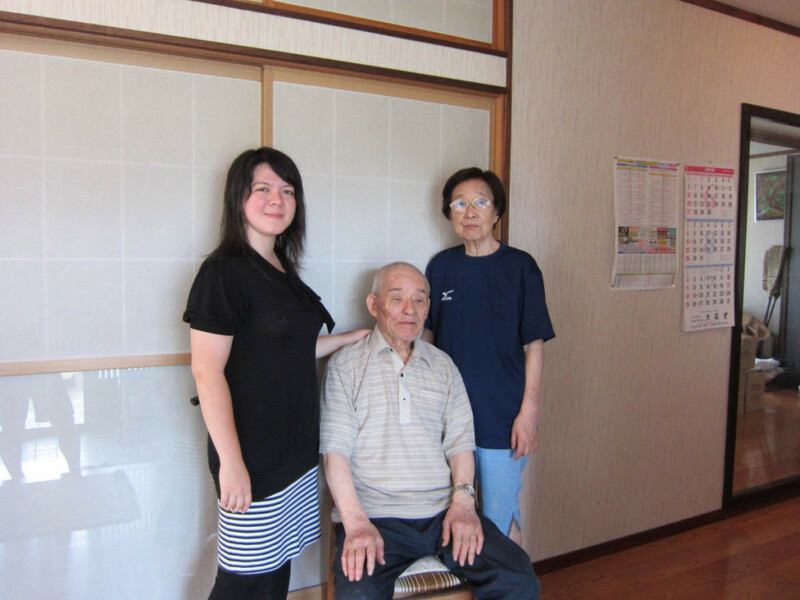 Sadly, since my last visit to Japan, my Japanese ojichan (grandpa) passed away, and obaachan (grandmother)’s health has greatly deteriorated. I spent many, many, many nights listening to their stories from World War II and its aftermath and recovery. I hope you’re happy and healthy this Christmas, Obaachan. As I type this, I’m in the airport waiting for my flight to go back to Salt Lake City. To snow. My family is a tiny one. We are but a family of four, and we don’t really do much on Christmas except eat and laze around in our pajamas–yet I love it. I hope wherever you are, whether your country of residence celebrates Christmas or not, you have a wonderful day filled with good food, good friends and family, and good music–cause really, that’s all you need to have a good day. How do you feel about spending Christmas abroad? Any Christmas plans this year? I’m not doing anything special, haha. You know… China! Yeah, it’s China. Haha. But to be honest, even in the USA, I think most American families aren’t really doing anything. I’m just sittin here on my laptop havin a good time, haha. It’s nice to relax. OMG, I thought you were going to be stuck all alone on Christmas with Asahi and cake! So glad you had time with a family. It sounds lovely, and the snow looked very Christmassy. Haha, I was close. I’m so glad my temple lady invited me over. I didn’t send her a Christmas card this year… (first time ever). I need to get on that. I’m SO HAPPY TO SEE SNOW (I’m sure you are too?). It feels good to be cold! haha. Andy is about to enjoy scraping the snow off the car! How the mighty Hawaiians have fallen. Well, Dr. Sis is also on call this holiday, so I understand about Richard. I am LOVING this snow, White Christmases are rare and magical things. Also, Current Stepmother is a fabulous cook so we have been eating like kings.I miss my siblings, but they are sweltering on the East Coast and enjoying Christmas Ticks. It was a special memory indeed. Happy Holidays Lani! I hope Cambodia is treating you well today! Aww, that’s a lovely experience to have had! I’m so glad that your Christmas ended up being such a lovely one. I’m so mad that Christmas this year is so warm. It isn’t even snowing at my parents’ place. I was hoping for a cold year this winter, because I’m moving to a warmer climate next year. Poor Richard. Alas, I am working for Christmas this year, too. That’s okay though. I’ll have a belated Christmas with my parents in the new year. Merry Christmas to you! Hope you’re having a good time with your family out in Utah. Yeah, I heard the weather this year is really odd. It was something like 70 degrees on the east coast on Christmas! Global warming is real! Oh no you had to work on Christmas!? I hope they’re paying you double!! Weirdly enough, I noticed that Asians don’t mind working on Christmas as much. After living in Asia for a few years, I think I wouldn’t mind that much either. Kind of sad! Great post! What a memorable Christmas. 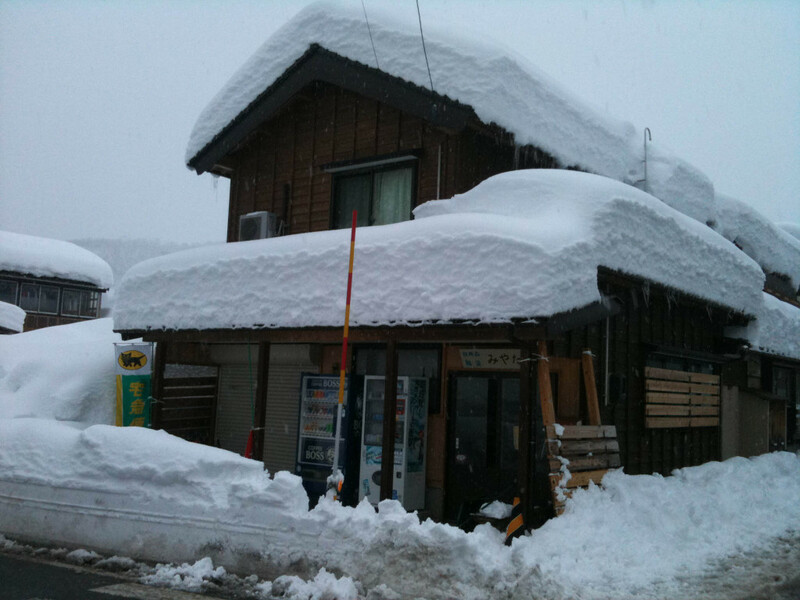 I’ve spent several Christmases in Japan but in quite different circumstances – my favourite was while working here at the snowfields. We were living in a little log cabin and our housewares cooked a 3 course meal for at least 10 people on just two little hotplates with a couple of pots in our very limited kitchen. We cut out paper snowflakes and made a cardboard Christmas tree. Wow where were you living? In Nagano or Hokkaido? That sounds like such a lovely Christmas! At least you had snow, that’s what makes Christmas special! What a touching post, Mary. It started off a lonely Christmas but then turned into a really special one. I hope you have a happy new year and a great 2016! Haha it seems to just be the time of year we go (there’s snow, we usually have holidays/space between jobs). 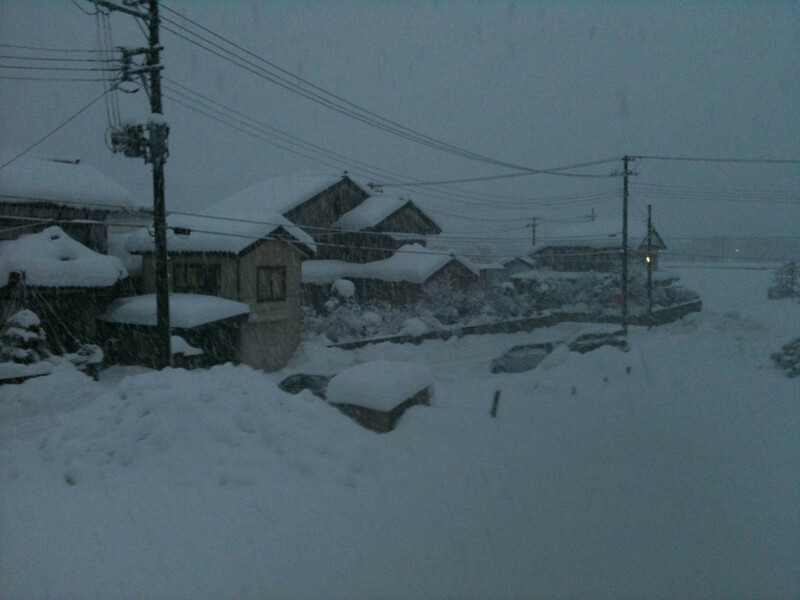 When we worked in Japan it was in Hokkaido – I had never seen snow anything like it! Jaanese Christmas is in keeing ith the finest Japanese tradition of merging Japanese logic with ideas and concepts from abroad then making it “Japanese” As you described, Kentucky and Kurisamas keki, illumination and party time (sacrelegious?) with a very western religious event. Many Japanese just ignore it, as its not a holiday, because the real holiday is shougatsu, the week after, but kurisumus has still been absorbed into the culture. I saw a soushiki on Christmas day ith the reikyusha leading the way; the car ith all the gold ornaments on it. I mention this because funerals in Japan are anagolous ith many other ceremonies and celebrations in Jaan; marrying up concets taken from abroad then adating them to fit the Jaanese narrative. A scripted western wedding may be chosen with a fake western minister, or a traditional Japanese wedding done by a real Shinto priest. In hich Gods eyes are you seen as being in holy matrimony? I guess its up to you. same thing ith the soushiki. If you as a buddhist, money is put in your burn box for you to cross the river during your 49 day journey over to the other side to be judged. If you were bad your sent to hell. But what if your Shinto? Do you have to stand before the same judge? I guess not, and once again, its up to you. In Christianity, there is the harsh logic that if your a nonbeliver, you ill be judged. This may seem cold, but it doesnt leave any room for ambiguity. In Japan, the buddhist and shinto are combined, but it seems your judgement is in your hands. This logic can be hard to describe but even more frustrating to exerience but I think its the essence of Jaanese character.